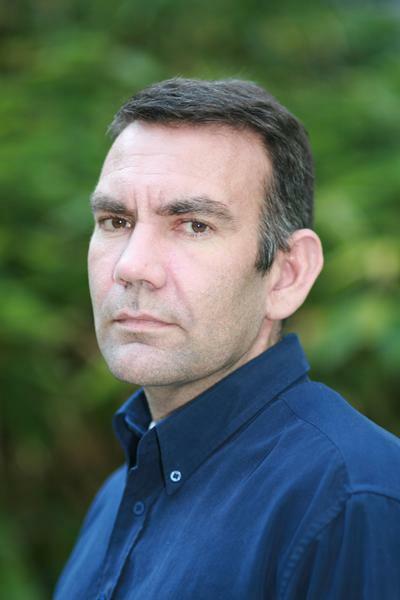 Dr Nick Maguire is an Associate Professor within Psychology at the University of Southampton. I qualified in 1999 as a Clinical Psychologist from Southampton, having completed my undergraduate degree here also. I’ve always combined clinical with academic roles, until 2006 when I came to the University full-time. Whilst working for the NHS I set up a number of projects treating homeless people with the aim of reducing antisocial behaviours and concomitant eviction rates. I sit on the All Party Parliamentary Group for complex needs and mental health, and a working group supporting the National Inclusion Health board. I’m also a founding member of the Faculty of Homeless Healthcare. My current role at the University enables me to make use of my clinical training in a number of areas in addition to researching homelessness issues, including mediation and bringing a psychological approach to good management and leadership. can these needs be addressed using cognitive behavioural therapy? In addition, we are researching the ability of frontline workers within the homelessness field to formulate problems using the cognitive model after having been trained to use the model. An additional research programme is investigating the psychological factors which seem to underpin homelessness, including the role of 'complex trauma'. A model describing these issues is currently under construction and being empirically evaluated. Psychological variables shown so far to be implicated in the cause and maintenance of homelessness include emotion dysregulation, experiential avoidance, shame, victimisation and maladaptive coping styles, all associated with childhood abuse and neglect. I'm also interested in the way that medical practitioners communicate with people with long-term health conditions, and the application of cognitive behaviour therapy to such disorders. Barker, S. L., Maguire, N., Bishop, F. L., & Stopa, L. L. (Accepted/In press). Expert viewpoints of peer support for people experiencing homelessness: A Q Sort study. Psychological Services. Ashford, C., Ashcroft, K., & Maguire, N. (2012). Emotions, traits and negative beliefs as possible mediators in the relationship between childhood experiences of being bullied and paranoid thinking in a non-clinical sample. Journal of Experimental Psychopathology, 3(4), 624-638. Maguire, N. (2012). Psychological therapies. Medicine, 40(12), 668-671. Maguire, N. J. (2004). Easy Targets. Connect: Homeless Link, 17, 18-19. Maguire, N. (2002). Cognitive behavioural therapy for the homeless population: a pilot study. Connect, 7, 45-47. Elgie, S., & Maguire, N. (2001). Intensive interaction with a woman with profound and multiple disabilities: a case study. Tizard Learning Disability Review, 6(1), 47-53. Kingdon, D., Maguire, N., Stalmeisters, D., & Townend, M. (2017). CBT: Values and Ethics. Sage Publishing. Maguire, N. (2002). Two examples of paranoia....cases 10 (Mary) and 11 (Karen). In D. Kingdon, & D. Turkington (Eds. ), The Case Study Guide to Cognitive Behaviour Therapy of Psychosis (pp. 123-137). (Wiley Series in Clinical Psychology). Chichester: Wiley. Keats, H., Maguire, N., Johnson, R., & Cockersall, P. (2012). Psychologically informed services for homeless people. (Good Practice Guide). Southampton, GB: Communities and Local Government. Maguire, N., Johnson, R., Vostanis, P., & Keats, H. (2010). Meeting the psychological and emotional needs of homeless people. London, GB: National Mental Health Development Unit. Maguire, N., Johnson, R., Vostanis, P., et al (2010) Mental health good practice guide: meeting the psychological and emotional needs of homeless people, National Mental Health Development Unit and the Department for Communities and Local Government.